Yahoo! (November 2, 2018) This year’s midterm elections are, by far, one of the most crucial in American history. Millions of voters will take to the polls on Tuesday, November 6th, and ultimately determine the fate of the country moving forward. In addition to voting people into office, people across the country will also decide on hundreds of significant ballot initiatives, including statewide measures to legalize marijuana in some form. From California to Utah, comprehensive cannabis reform has taken center stage in a key number of states. And the results of next week’s elections could bring about a sea change in how we treat pot in America. The Fresh Toast (November 2, 2018) Farmers around the world grow their crops with the hope and desire of creating the best possible products, usually with their own tricks of the trade that set them apart. Planting methods, soil supplements, harvesting ways and watering practices all go into how the final product looks, tastes, smells and feels. Cannabis is no different and California is on the cusp of creating regional marijuana appellations, just like Champagne is to the sparkling wine world. 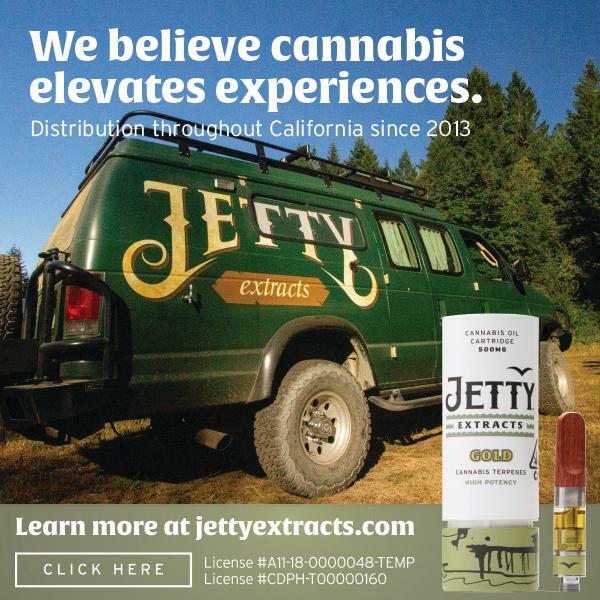 In Northern California, cannabis growers are known to compare their grows with those of the wineries they’re surrounded by, in that growing in a valley as opposed to a hillside 20 miles away, the same strain from a different farmer will come out unique. American Veterinarian (October 31, 2018) It’s official. California will be the first state whose veterinarians are legally allowed to talk to clients about cannabis use for pets. But they will not be allowed to dispense or administer cannabis-based products. The legislation, signed by Gov. Jerry Brown in late September, goes into effect on January 1, 2019 and prevents state regulators from penalizing a veterinarian for discussing the therapeutic use of marijuana in animals. Because the federal government classifies marijuana as a Schedule 1 controlled drug, most veterinarians have historically taken the stance that they should not discuss the drug’s possible medical uses with pet owners. The Union (November 1, 2018) It’s somewhat of a Catch-22 for cannabis cultivators, distributors and manufacturing businesses trying to get legit. Adult-use marijuana is now legal in California, but licensing is lagging far behind. In Nevada County, a cultivation ordinance is still being hashed out and might not be ready for next year’s growing season. Only eight local growers had acquired their temporary licenses as of two weeks ago, less than one percent of the county’s cultivators. Nevada City has approved a medical-use dispensary and ancillary manufacturing and distributing businesses, with 15 in the pipeline but only one actually having completed the permit process. Forbes (November 1, 2018) As polls continue to show that a growing majority of voters support legalizing marijuana, more and more politicians are beginning to embrace the issue, and this year’s midterm elections provide the latest datapoint in the ongoing evolution of cannabis into a mainstream political issue. At least 21 major party gubernatorial nominees on U.S. ballots this year support legalizing cannabis, a new Marijuana Moment analysis finds. That’s far more than have embraced marijuana law reform than in any previous election cycle. Some of the candidates listed below support legalization more forcefully than others. While some have made cannabis reform a centerpiece of their campaigns, others seemed to embrace ending prohibition only reluctantly or when pressed on the issue. The Hill (November 1, 2018) The first cannabis-derived medication approved by the Food and Drug Administration is now available by prescription in every state, according to its manufacturer. Epidiolex, manufactured by GW Pharmaceuticals, is intended to treat seizures associated with two rare and severe forms of epilepsy that begin in childhood. The drug is made of cannabidiol (CBD), a component of marijuana that doesn’t give users a high. The hope among CBD advocates is that the FDA’s approval could spur more research into medical marijuana products, though marijuana itself remains illegal. The Motley Fool (October 31, 2018) The marijuana industry simply keeps making history in 2018. Now we can add another historical marijuana moment to the list: the largest cannabis debut in history. What’s more, since U.S.-based marijuana companies aren’t allowed to list on reputable domestic exchanges, and Canadian-based pot stocks can’t list on the Toronto Stock Exchange, these companies have been looking cross-border to list their shares. If legal, the U.S. cannabis market would run circles around Canada. California, the fifth-largest economy in the world by GDP, has the potential to generate more in annual sales than all of Canada — and that includes Canada’s ability to export medical weed. Vox (November 1, 2018) Mexico’s Supreme Court on Wednesday deemed the country’s marijuana prohibition law unconstitutional, bringing America’s neighbor one step closer to marijuana legalization. It was not the first time the court made such a ruling, but it was the fifth time — a crucial threshold in Mexico. Under the country’s legal system, once the Supreme Court reaches a similar decision in five separate cases, the standard set by the rulings applies to the country’s entire court system. As the Associated Press explained, “The rulings technically do not legalize recreational use, however. They establish that courts must allow it, but it is still up to each individual to press his or her case in the judicial system.” The rulings apply to possession, use, and growing — not commercialization or sales.